I just got to share this with you guys. This is what my little girl made today as school was shut. Hi Sam, sorry I haven't been to visit you for a while. 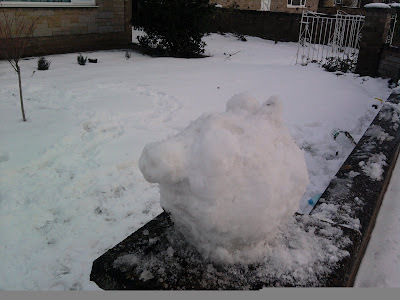 Your daughters snow pig is really cute! Bet she had a lot of fun making it. Glad she enjoyed the snow. I have been blowing it each day from my driveway! Wait until she is older!